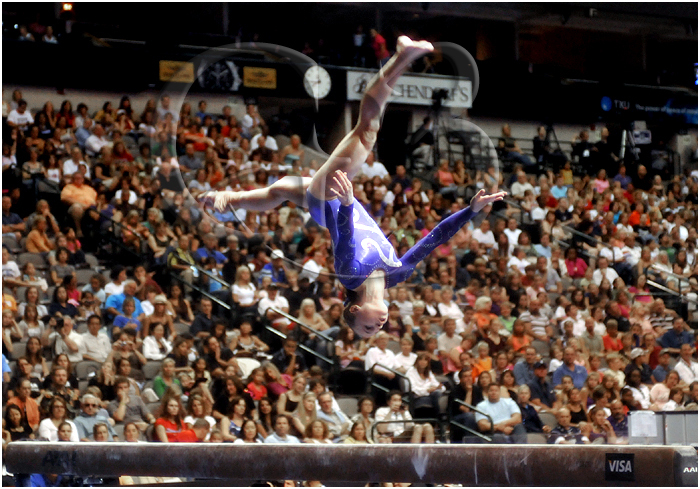 The 2009 VISA Championships concluded on Saturday night with Olympic gymnast Bridget Sloan taking 1st place for the all around competition. 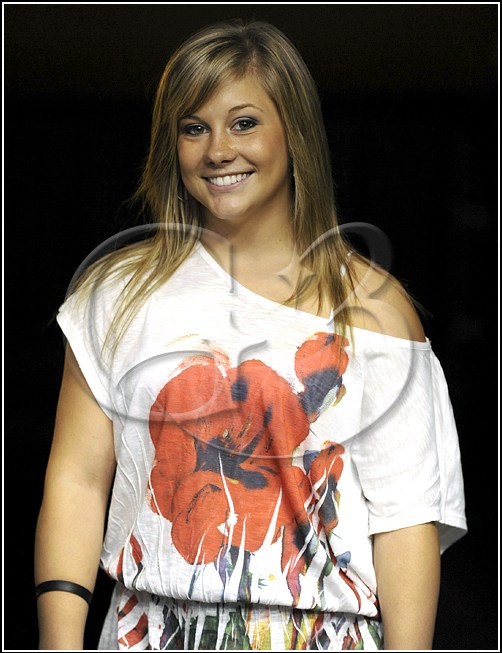 2008 Olympic gold Medalist Shawn Johnson posed for me for a few shots and this one was my favorite. 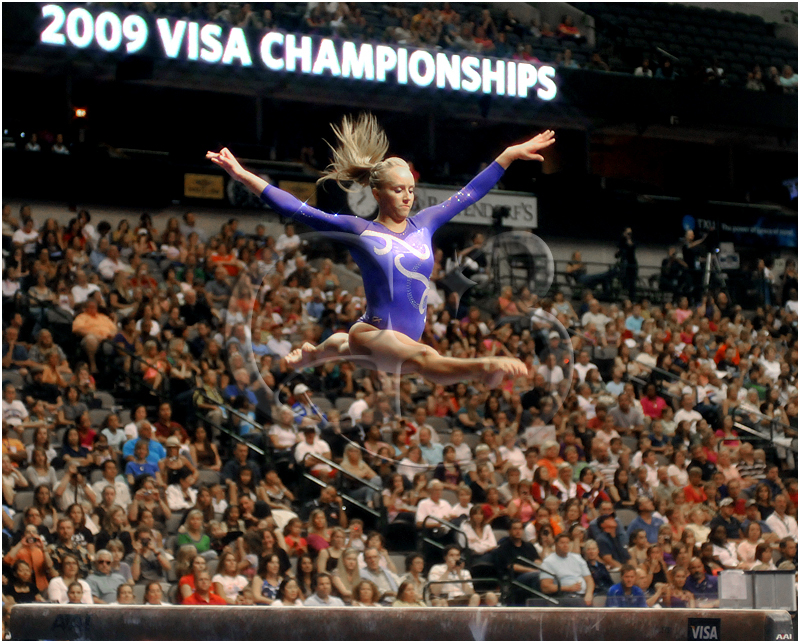 WOGA coach Valeri Liukin and daughter Nastia Liukin pose for photos as Valeri is awarded the Coach of the Year award and Nastia is awarded the 2009 Women's Sportsperson of the Year. 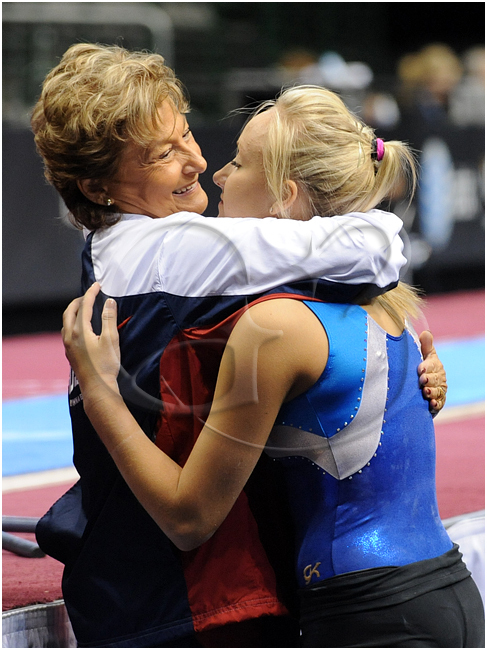 Marta Karolyi and Nastia Liukin share a hug after a long discussion before competition begins. 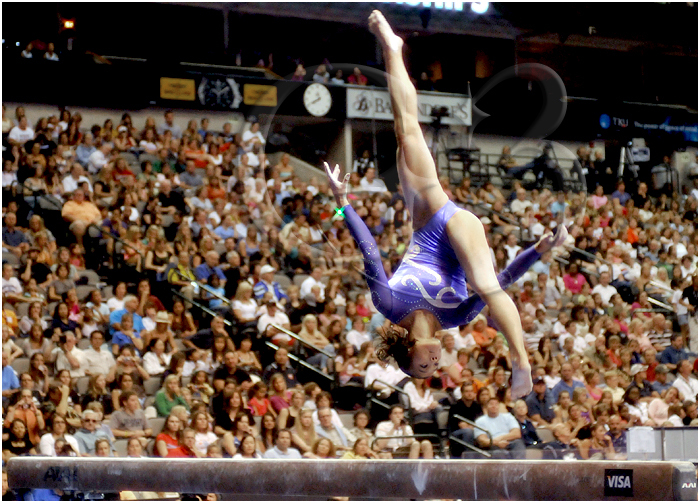 I set up a remote camera for Day 2 of this event and here are a few shots from that angle. I didn’t really like these shots as much because of the Star filter I forgot to remove from the lens. I initially had this remote set up at the side of the beam and there were a couple lights on the other side of the beam. 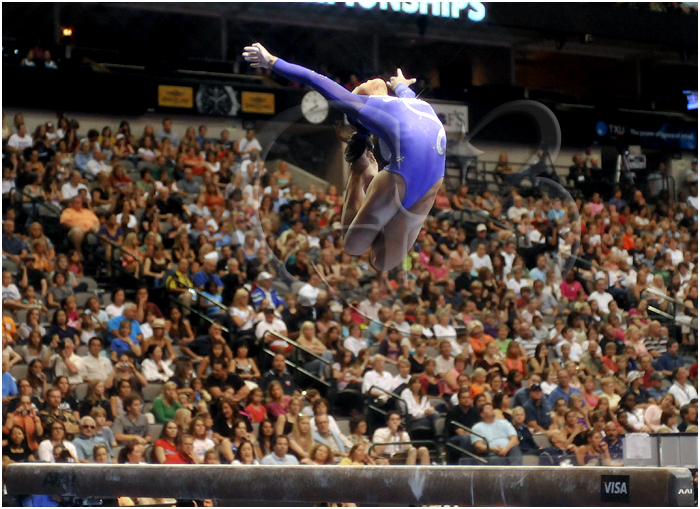 I thought this would be a nice shot with the stars shining behind the person on the beam and it even had an all dark background. 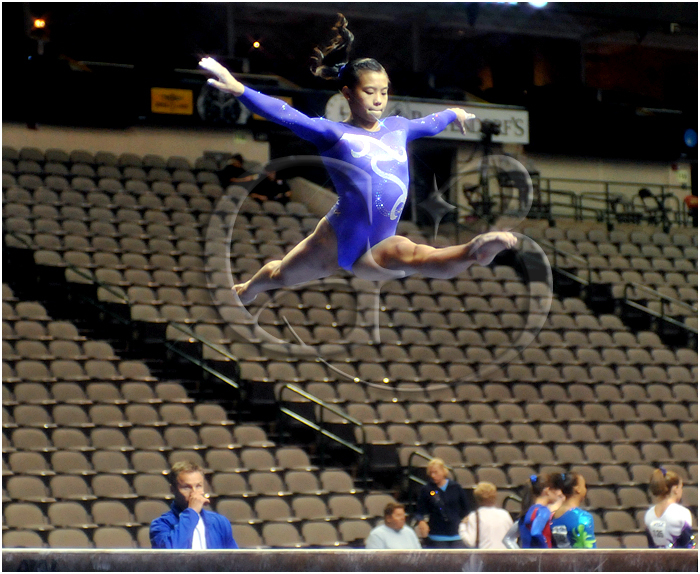 However, before competition began I was asked to move the camera because a new sign was being added to the spot was camera was set up so I forgot to remove the filter and got some washed out shots due to the lights in the arena. 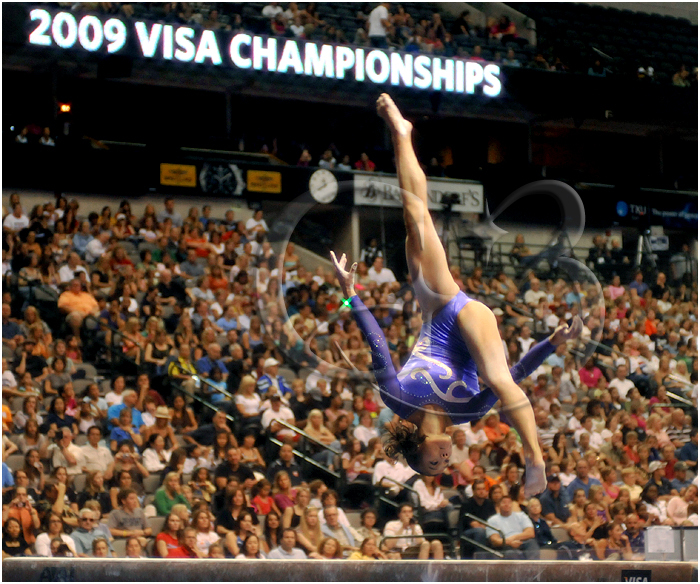 Oh well, the angle was cool at least.